Online vs on-site coding bootcamps: which should you do? You’ve decided this is the year to enter the tech industry. Of course that means you need to upskill, but what is the best way to go about achieving this career goal? 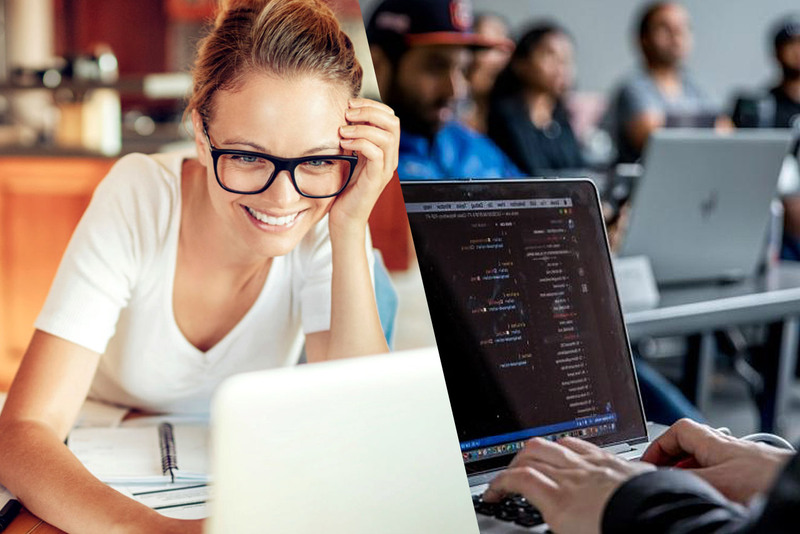 Online vs on-site coding bootcamps: which one is best for you? Here are some factors worth considering. What can you expect: online vs on-site coding bootcamps? As expected, online coding bootcamps are longer and less expensive than their in-person equivalents, according to Course Report. In the US, the average in-person tuition fee is $11,900, whereas the average online bootcamp is $11,100. As far as duration goes, coding bootcamps range from 4 to 104 weeks, but, on average, you’re looking at 14,3 weeks for an on-site coding bootcamp compared to 15,4 weeks for the online version. Are you someone who loses motivation quickly? Do you prefer working alone or with others? These are some of the factors you need to consider when choosing between online vs in-person bootcamps. If you like working alone and are organized and very self-motivated, an online course could work well for you, states an article in Medium. With a HyperionDev online bootcamp, however, the good news is that you won’t be left completely alone. You’ll be assigned your own personal mentor who will guide you through learning best practice coding by giving you feedback and helping you out when you get stuck. Though an online bootcamp will require a degree of internal motivation, you are able to progress at your own pace. Alternatively, if you lose interest quickly and you prefer working in a team or a classroom environment with like-minded individuals, then an in-person course could be the right option for you. You’ll progress at the group’s pace, but you will have more face-to-face support. It’s also likely that an in-person course is more structured, with regularly scheduled lectures and classes. Online coding bootcamps tend to be more flexible and part-time (in-person coding bootcamps are likely to be full-time). With an online coding bootcamp you get to fit in your course work around your other obligations. This means that you can carry on working and earning money while studying. You can schedule your studying and calls with your personal mentor for evenings or weekends. Most online coding bootcamps require 5-30 hours per week. In addition, your risk is much lower and once you’ve gained the skills, you can start applying for other jobs while still being employed. To conclude, we’ve discussed online vs on-site coding bootcamps and how they differ. If you’re keen to upgrade to a tech career this year, consider carefully which of these options best suits both your learning style and your resources. At HyperionDev you can enrol on the following online coding bootcamps: Full Stack Web Development, Data Science or Software Engineering. You can also trial one of these courses for free.